Entrepreneurs might choose to start businesses in cities like Cape Town, Nairobi or Accra, but it is inevitable they will end up in Lagos if they are to be truly successful. 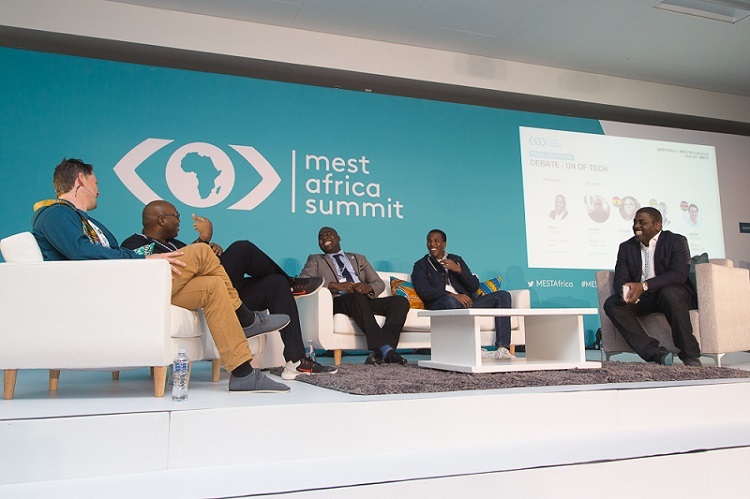 That was the opinion of iROKO co-founder and chief executive officer (CEO) Jason Njoku, who was part of an occasionally feisty “United Nations of Tech” debate at last week’s MEST Africa Summit in Cape Town, where stakeholders talked up the merits of their respective startup ecosystems. “You start in Nairobi, you start in Accra, you start in Cape Town, but in the end you come to Lagos. The market size is everything. You will end up in Lagos,” Njoku said. He said there was a “sense of energy and sheer opportunity” in Lagos that was not present elsewhere on the continent. “A huge amount of money goes to Lagos, in terms of venture capital and deals being done, a lot of that is going to Lagos. It is those huge macro opportunities, and you have huge populations of people there,” said Njoku. Defending the merits of Cape Town, Lungisa Matshoba, chief technology officer (CTO) of South African fintech startup Yoco, said his business had found the city to be the best place to initially launch due to the amount of available talent, even if there were bigger markets elsewhere. “For us the choice was based on the access to talented people to help us grow the business. Looking at it from a market sizing perspective, Cape Town as a market, even within South Africa, is not the biggest market you will find, but we thought let us pick the market that has all the ingredients for us to build the best product and accelerate our growth as a company, and the use that advantage to get into other markets in the future,” he said. Johannesburg is now Yoco’s largest and fastest growing market, but Matshoba said the startup would not have got to that point if it had launched there. “There is a lot of quiet space to get things done in Cape Town. Whenever I go to Johannesburg, it’s really busy. I don’t necessarily think the busyness of a city is an advantage,” he said. However, Matshoba said South African startups needed to be prepared to scale beyond the country in search of larger markets. “You have to have that ambition to expand beyond South Africa, and the second you do that you re-orientate your business. It is easy to get trapped here if you are not looking beyond this market,” he said. That being the case, there remain opportunities within certain sectors in South Africa. “There is a lot of wide open space, there is a lot of space where the traditional players are not playing and have no intention of playing, and that creates quite a big space for you to operate in. But if you try and play in a space that everyone is operating in, then it can be challenging and regulation is often not on your side,” Matshoba said. Njoku said there was plenty of talent to be found in Lagos as well, both on the technical side and in terms of entrepreneurial skills. “Kenya has amazing universities and a pretty strong education system, and so does South Africa, but Nigeria doesn’t. People are essentially forced to do everything themselves,” he said. According to Njoku, this captures the very essence of what being a Nigerian, or a Lagosian, is all about. “Nobody’s going to give you anything, you’re being harassed all the time, so you know what, you need to sit in your room with no electricity, or code on a feature phone, or whatever it may be, you do it because you essentially have to do it. That necessity creates some really exciting opportunities,” he said.